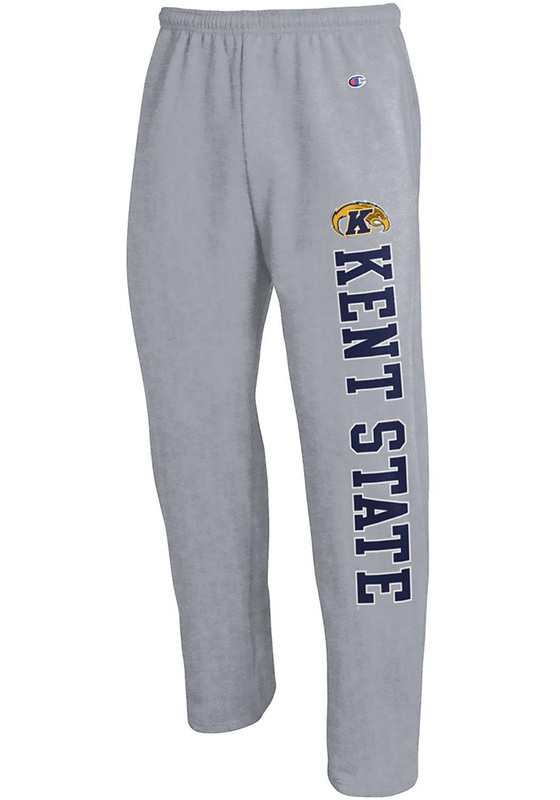 Get cozy in these Kent State Golden Flashes Grey Open Bottom Sweatpants! Whether you're relaxing watching the game or just out running errands, these Kent State University Sweats are the perfect way to show your Flash the Golden Eagle spirit in comfort and style. These Kent State Golden Flashes Sweatpants also feature a team name and mascot screen printed down left leg. I wear them more than I'd like to admit. They are so comfortable and I wish I could wear them to work!